SPECIAL PURCHASE SALE!!! BIG DISCOUNT ON CURRENT STOCK!! ONCE THESE ARE GONE THERE WILL BE NO MORE AT THIS PRICE!! 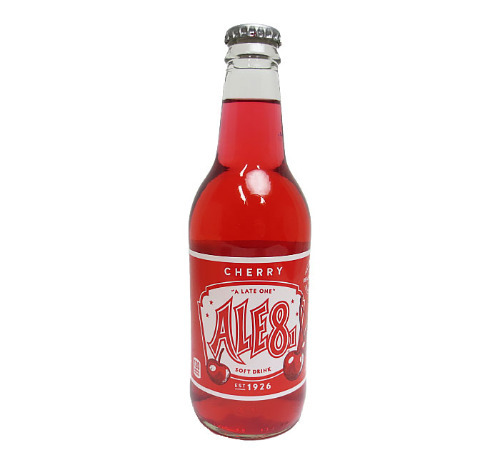 FRESH 12oz glass bottles Ale 8 One Cherry Ginger Ale with SUGAR!!! No HFCS in this classic!!! Ale-8-One has been a Kentucky favorite since G.L. Wainscott blended the first batch in 1926. The name Ale-8-One, or "A Late One", was adopted to describe this latest thing in soft drinks. Today, the unique mix of ginger and fruit is still made using the same secret family recipe handed down by Mr. Wainscott.